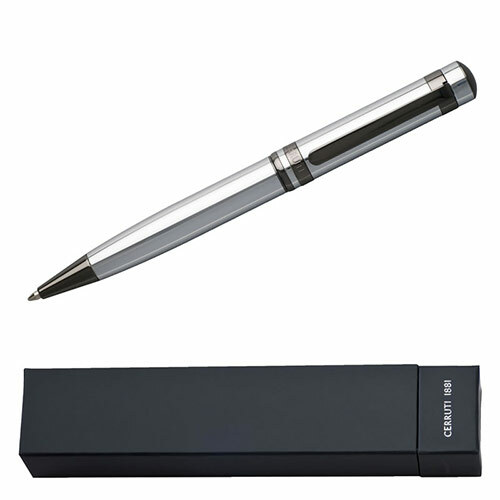 These 'League' ballpoint pens from the Cerruti 1881 brand provide a modern twist to a classic pen. 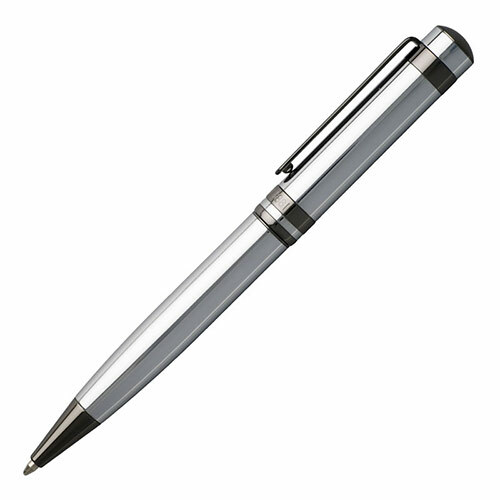 With its well balanced yet classical frame, this pen finds it originality in the play of contrast between the crisp chrome plating of the body and the darkest gun metal of the trims. 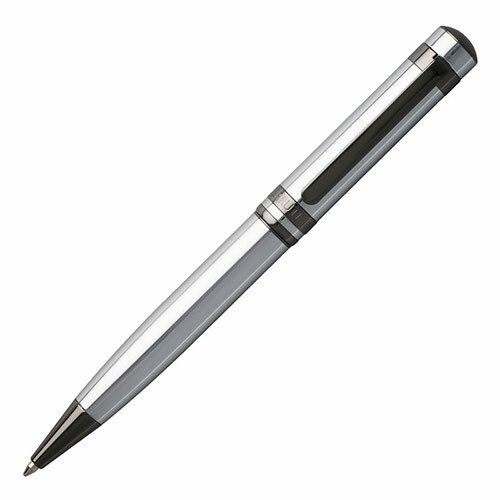 Supplied in a Cerruti branded presentation box, these stylish ballpoint pens take a blue ink Parker type refill (one supplied inside product). 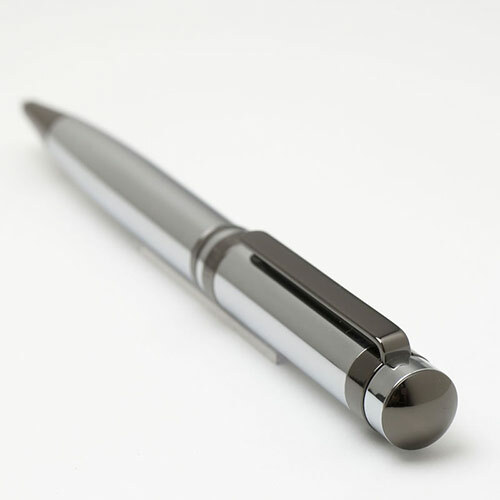 They can be engraved on the pen body to create a luxury personalised gift or branded corporate merchandise.